Zvezda KV-1 Platoon (MechaNovember ’18) | Azazel's Bitz Box. 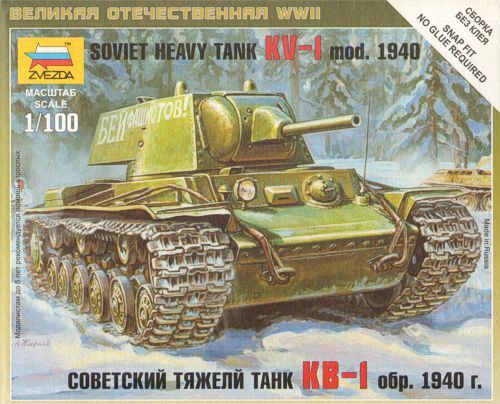 This entry was posted in Flames of War, Historical Gaming and tagged Flames of War, Mechanical November '18, Mechanovember '18, Zvezda Soviet KV-1 Tanks 1/100. Bookmark the permalink. Wow, great minds think alike! At least with regards to KV-1’s. Nice to see we both did 5! I get the difficulty of armor identification on the battlefield. I do like yours a lot, and the models you have are much better than mine, which is why I added a lot of mud and dust. I will have to keep the sponge weathering tip in my thoughts for future tanks. The consecutive markings you did will help the non-treadhead play without offending normal enthusiasts. (the abnormal enthusiast is probably my age and will need reading glasses to see the details anyways!). And I am normal (I think). At the museum this weekend I saw some Soviet stuff marked, others unmarked, so you can do what you want and not lose. These would work great for WaT. The KV-1 is slow, but has nice armor. I hope your schedule gets less hectic, and much thanks for the shout out Azazel! Clearly, you need a break! The first game I’d do one tank per player, and use the points scheme in the book. I can’t say enough about the magnetic dashboard I use that I got from the guy who ran my WAT game at BARRAGE. Very helpful, and with the command dice represented it makes the game fly. I also use the quick reference sheet. Second game a couple tanks per player is ok, or have reinforcements for the unlucky. If you look at my posts you can see the dashboard and how it helps. Really you have enough now for a game, though not a historical one, but who cares? Your friends and family won’t know the difference. My first trial game I ran I just used different values on the dashboards. That set me up well for the last one I posted about. I’m happy to share my dashboard with you if you want it. It’s a PowerPoint and editable, and even has the KV-1a’s done. …which is why I’m working on Brits? They are great- real;ly like them. I hate trying to get tank markings correct too. Most of my tanks are heavily weathered. Those last two sentances are linked. The comments about the markings are a significant part of why I don’t do historicals. Regardless of (in)accuracy, they look good as things in and of themselves! I guess it’s which particular historicals you’re doing, but yeah, the balance between “hollywood”, rivet counters and “close enough” is always a tricky one to walk. There are other reasons, too, but yeah, when I do get into historical stuff, it’s much more often something like Saga, where insignia is kind of a non-issue. And yeah, seasonal work crunches get rough. Best of luck getting through this one smoothly. Yeap. Kind of surprising that it seems like no-one has taken a whole lot of WWII vehicle marking information and published a book for wargamers about them. Even split into different nations, an easy-to-use guide (or series of them) would surely end up doing well for people who would just like to set up their toy tanks reasonably accurately but don’t want to do enough research to become academics on the subject. Can’t remember seeing you doing a tank before but I’m guessing you most probably done plenty in the past. Either way, very nicely done. As for work, I hope things go as well as they possibly can. Sounds like work is in overload at the moment, hope you find time for yourself through this busy time. It’s basically the busiest time of year. As long as I do a substantial amount over both days this weekend, everything is on track to be fine in 2 weeks, when my section will downshift a little – and then the IT stuff that’s been getting neglected the last couple of weeks can get back to the fore. The main problem with “Hollywood” tanks is people picking on them, I guess – which really shouldn’t be a problem. I know if they’re good enough for me, none of my friends are going to be able to pick out any inaccuracies, nor would they be dicks – and any commentators on the blog would just need to be polite in correction or advice as non-polite corrections would probably have a way of not getting published or an appropriately worded reply..
Yeah, it’s really that if I could easily find the “right” way to do it without it becoming a massive headache, I’d like to have them as accurate as possible. Yeah, the first time I ever heard that term was actually in reference to guilds competing for high level raid mobs and spawns in EverQuest. Wasn’t until I looked it up sometime later when I found it’s “original” meaning, but I oddly still think of it as a term without any sexual connotations. Very nice! You and Mark have really been treating us with tanks in the last few days. Sounds like a sensible approach to markings and they do add to their appearance nicely (my own Russian tanks carry very few). From what I’ve read up on (and I have some 1940 British tanks) British tank markings are complicated, but there is method behind the madness! And early WW2 French tanks are a nightmare! Even when you know what markings should look like, you can’t always get decals/transfers. Yeah, I think the British tanks may unfortunately be regaled to the “Hollywood WWII” section before to much longer. I’ve just ordered a Char B1 Bis from Warlord as part of their “Wheels of Steel” sale, though I suspect that when (if) it ever gets built and painted it may well end up in captured German service. Because let’s face it – I’m never going to get around to building a French FoW force. I’m one of the tank idiots, but find the background pretty interesting. I also appreciate the red star, so I know which one to shoot at, haha! 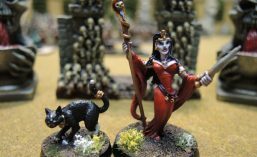 Nice looking models and paints. Hope work eases off on ya. Sounds like it’s been grueling. Hang in there mate, and we’ll catch ya on the flip side! Yep. 2 more weeks of it being full-on intense. Then 3 weeks of weirdness as some stuff becomes completely chill while other stuff kicks up a few notches. Nice work there Azazel, historical “nerds” is one of the reasons I was “turned off” of historical gaming myself, never done Soviets but I can remember having a similar dilemma over British and German forces in both European and North African WW2 conflicts! Fantasy/Sci/fi is so much more chilled! I think work is getting more stressful all over, I cant wait to get out of my place at Christmas!!! Thanks Roger – yeah, I have the same forces on my desk right now. It’s bloody painful! Yeah, as plenty of others have said, people with an obsession with doing things the “right way” have always put me off real world military stuff (amongst other factors). Indeed, all things considered, I’m not that into model tanks at all, but even to my jaundiced eye you’ve done a fine job with these. Anyway, take it easy and hopefully you’ll get some time to catch your breath after Christmas is over. See, that’s the problem for me – I love model tanks, but I’m not a big fan of assembly or needing to (try to) research correct markings – so I rarely ever get any done!